He may be years away from his American Idol debut, but that doesn't mean your toddler can't start his rock star training. If you want him to learn from the best, there can be no better choice than Elvis Presley. 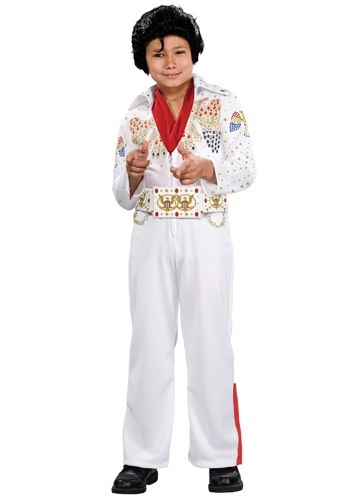 This deluxe Elvis costume includes everything he needs to learn the ropes of being a famous rock and roll legend.